CyArk is a non-profit organization dedicated to digitally preserving cultural heritage sites. They do this by collecting, archiving, and providing open access to data created by laser scanning, digital modeling, and other state-of-the-art technologies. CyArk is also one of the many recipients of SketchUp Pro licenses as part of our SketchUp for Nonprofits program. This case study came to us from Justin Barton, a Technical Services Manager at CyArk. 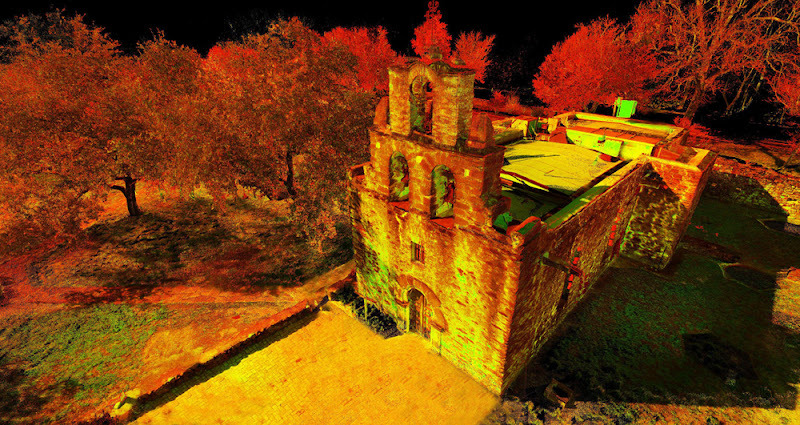 A perspective view of 3D laser scan data (terrestrial LiDAR imagery) of Mission San Francisco de la Espada, San Antonio, Texas. 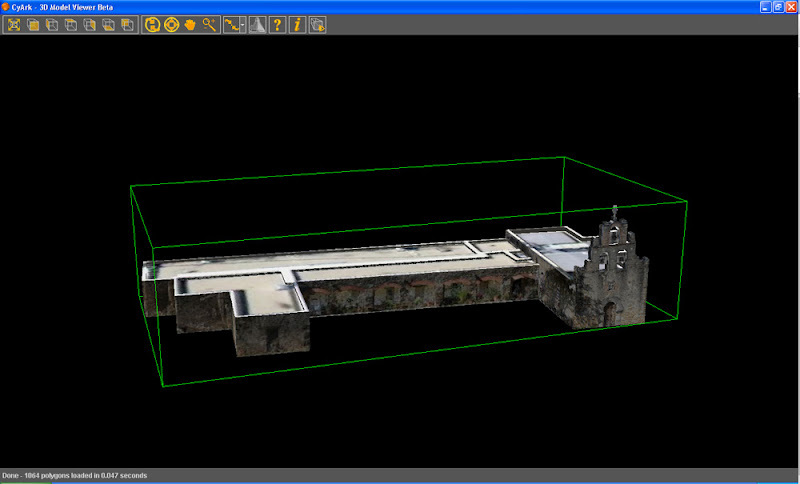 Our 3D laser scan processing software allows us to export orthorectified images of the data. We begin by exporting a plan of the structure to build a basic block model from. The plan is brought into SketchUp Pro, scaled, geo-located (all of our scan data is geo-located with GPS), and then the model is created from the accurate plan data. 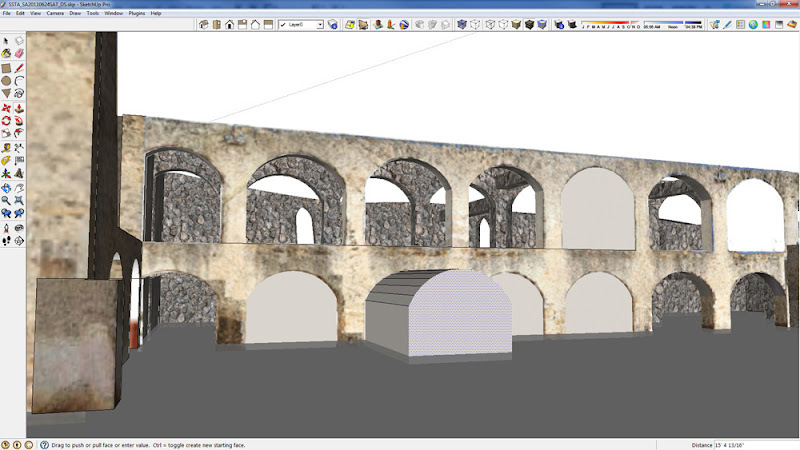 Using orthorectified imagery created from laser scan data to trace out the model in SketchUp Pro. After we create the block model, we import orthorectified elevation views of the structure. We then trace the outline of the building and “push out” the unwanted parts to create the unique architectural shape. The elevation view is also used to overlay the photo-real texture information. We are also able to use the Pointools plugin for SketchUp that allows us to load the 3D laser scan data point cloud directly into SketchUp. This allows even more precise modeling directly over the data. Again, orthorectified images of facades are used to overlay texture information. After modeling is complete, visitors to the CyArk website and projects interact with them in two ways: CyArk has an online, Java-based web app that allows users to view 3D point clouds directly, or view solid models such as those created in SketchUp Pro or other 3D meshing software. 3D model of Mission San Juan Capistrano, San Antonio, Texas created in SketchUp and viewed in CyArk’s free online 3D Viewer. The other way that users can interact with 3D models on CyArk’s website is by using the Google Earth plugin, which we’ve integrated into a web page on the site. This provides a navigable 3D environment in which users can see geo-located SketchUp models while interacting and viewing geo-located multimedia items such as architectural CAD drawings, videos, 360-degree panoramic images, photographs, historic imagery and more. 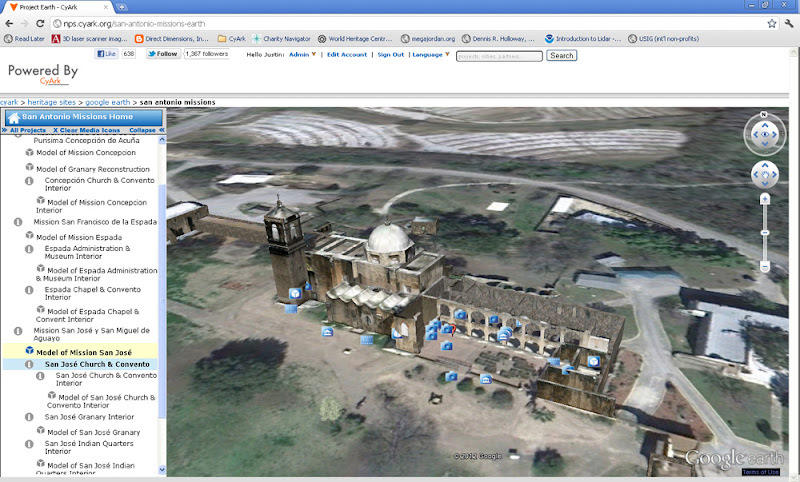 A 3D model of Mission San Jose y San Miguel de Aguayo, San Antonio, Texas created in SketchUp and viewed in Google Earth on the CyArk website. Multimedia items (architectural drawings, videos, panos, historic images, etc.) are geolocated on the Google Earth interface and represented as a variety of type-specific icons that surround the model. 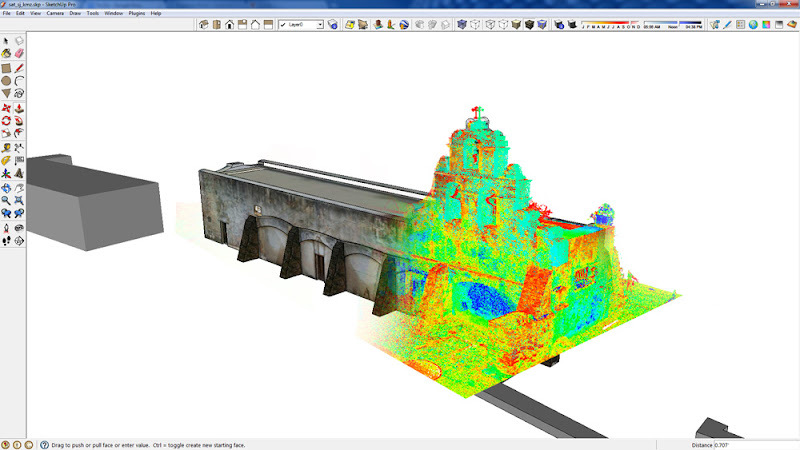 In addition to modeling directly from accurate 3D survey information (as seen here in the San Antonio Missions project and associated iOS mobile app), CyArk and our partners have taken advantage of SketchUp Pro’s easy modeling platform to create historic reconstructions of sites and site features that no longer exist. For example, for a project with Fort Laramie National Historic Site, eight historic reconstructions were created in SketchUp. Users visiting the Google Earth map of the project can choose to see the Fort as it appeared in seven different time phases, as well as a detailed reconstruction of the Post Hospital. All were created from extensive research, historic photographs/sketches, consultation with park experts, and metrically accurate laser scan data of structures, standing ruins, and remaining foundations as the base for the models. SketchUp Pro provides CyArk the tools to quickly and accurately model historic sites to create interactive 3D environments for members of the public, educators, students and researchers to access online. This aids us in fulfilling a significant part of our mission to share, disseminate and educate. Thanks for sharing this story, Justin. If you’re interested in getting involved with CyArk, you can find out more about volunteering, becoming a partner or donating to CyArk on the Get Involved web page. An @Last Software alum, Chris currently manages all things Business Development for SketchUp. London-based these days, Chris can be found traveling around Europe sampling the local cuisine when he's not working.